Das Kartenchaos: Ich liebe Sonntage! In der Woche habe ich mit diversen Jobs so viel zu tun, dass ich nur noch selten dazu komme, viele Karten zu machen. Deshalb sind mir meiner Wochenenden so wichtig. Und da Samstags dann noch einkaufen und ähnliches ansteht, sind die Sonntage die Kartentage. Ich wollte bei diesem blöden Wetter wenigstens schöne, sommerliche Farben benutzen. Aaah, die erste Karte strahlt mich ja richtig an - ist die schön! Ist das an der Seite Washi Tape oder Papier? Ja, du hast völlig recht, du hast mich dazu gebracht Gelb zu mögen! Und die neuen PS Textstempel habe ich auch shcon entdeckt!! Der Hase von PS ist Liebe auf den zweiten Blick, gelle? Achso: das Gelbe ist Washitape, die Wolken sind Papier von Studio Calico! Super cute! That flower just makes me happy :) Thanks for joining us this week at Seize the Birthday. these are way cute, Christine! 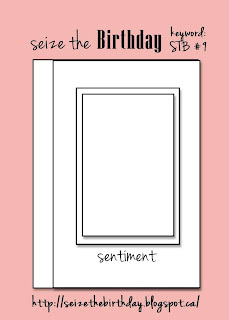 thanks for playing along at Seize the Birthday! Such cute creations Christine!!! 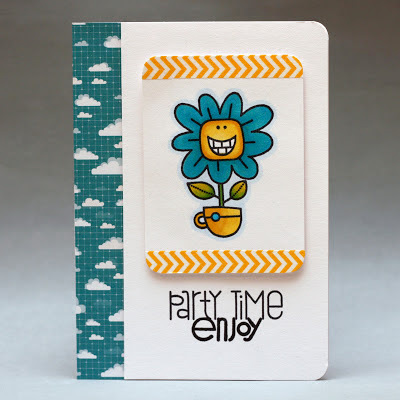 Love that flower and the tape you used for Seize the Birthday. All are so precious! Really like the first one with the color combo and cute image. A lovely collection of cards Christine. That flower just makes me smile Christine! 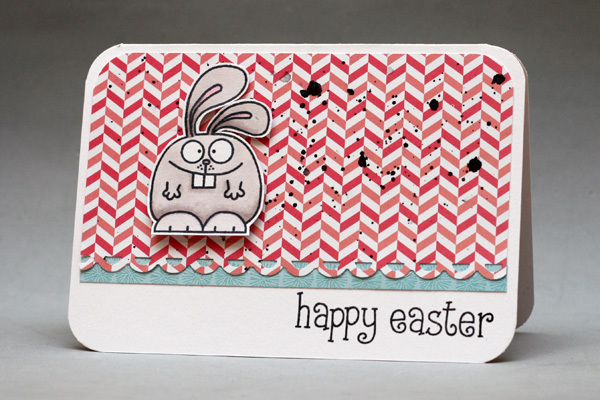 Love those wood veneer speech bubbles and who could resist being happy when they look at that bunny rabbit! 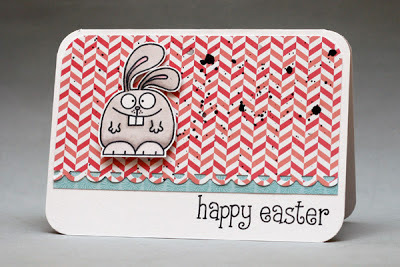 I really like the card with all of the wood veneers. 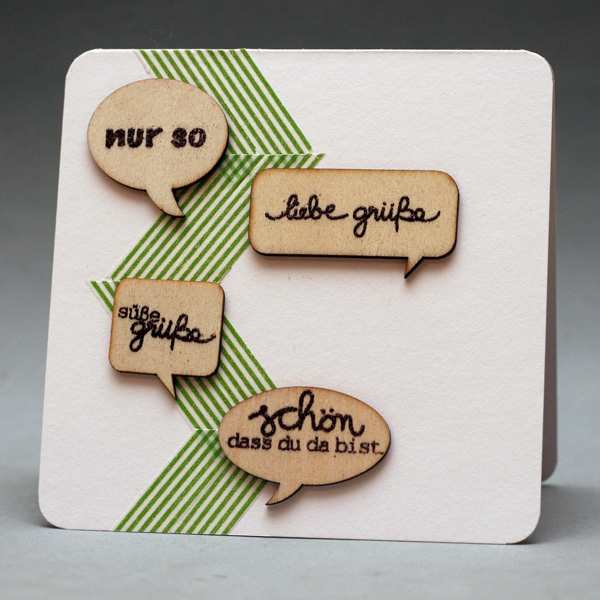 Those speech bubbles with the washi tape behind it looks great! I'm so happy you were able to join along in the 10 Minute Craft Dash. I hope you can play along in my challenge again soon! AWESOME card... I really love the bright look of it..simple and stylish. Beautiful cards! I love them. Thank you for joining our Challenge at CAS on Sunday!